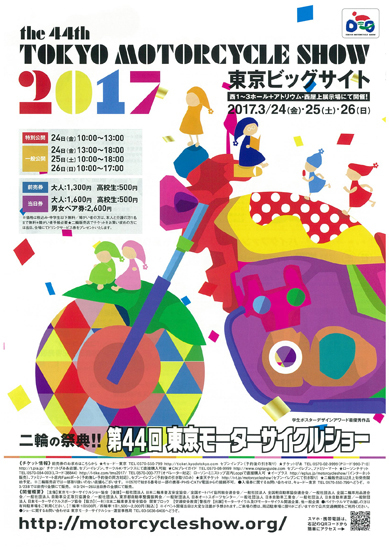 Tamiya will exhibit at the 44th Tokyo Motorcycle Show, the biggest motorcycle big event in Japan, held at Tokyo Big Sight from 24th to 26th March 2017. Please come and visit the exhibition of the latest bikes of domestic and overseas and related events to the fulfilling motorcycle festival! Tamiya held a “Plavan Accessory – Workshop” where children can enjoy casually from adults to children at the Kids’ corner of the West 2 Hall. 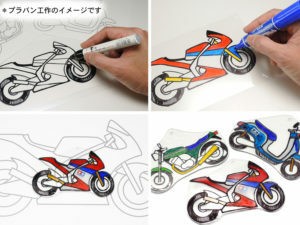 You can draw a picture of a motorbike with a coloring sensation on “Chi-mimpavan”, and you can experience making your own original accessories (We will distribute tickets for participation on the day). 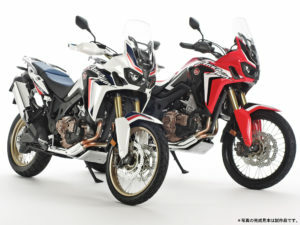 And, the latest model of 1/6 motorcycle series to be released this year “1/6 Honda CRF 1000 L Africa Twin” will be displayed! . Please take a closer look at the class’s strongest adventure tourer, precisely reproduced with a powerful big scale! . 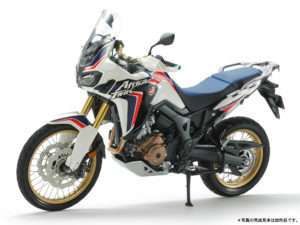 In addition, Africa Twin will exhibit actual cars along with the model (cooperation: Honda Motor Co., Ltd., Honda Motorcycle Japan Co., Ltd.). It is an opportunity to take a detailed photograph of a real car in preparation for making a model! . Others Tamiya’s bike model made from a number of commercial vehicles to racers, including 1/12 Kawasaki Ninja H2R, 1/12 Repsol Honda RC 213 V, is on display. We will also sell scale models and Tamiya original goods. This entry was posted in Event Report on March 21, 2017 by admin.